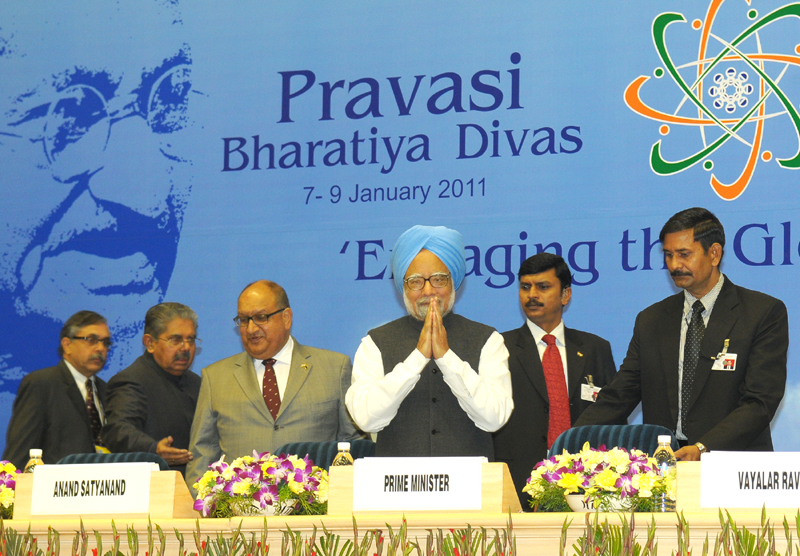 The Prime Minister, Dr. Manmohan Singh at the inauguration of the 9th Pravasi Bharatiya Divas-2011, in New Delhi on January 08, 2011. The Chief Guest of New Zealand Governor General, Shri Anand Satyanand and the Union Minister for Overseas Indian Affairs, Shri Vayalar Ravi are also seen. “This year the North Eastern States of India are the partner States for the Pravasi Bharatiya Divas. I represent the beautiful state Assam in Parliament and I know what boundless potential the North Eastern region has to contribute to our nation building given the right opportunities. Providing gainful employment opportunities for the youth is a real challenge. I encourage the diaspora to join hands with local and national efforts to accelerate the pace of development of this region. Ahead of the ongoing 9th Pravasi Bharatiya Diwas, the Government of India has already decided to exclude the states of Manipur, Mizoram and Nagaland from the Protected Area (PAP) regime. 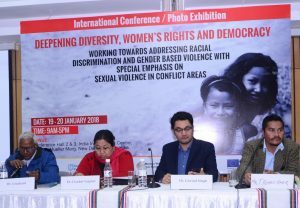 The state in focus is apparently Manipur, with the website of the Pravasi Bharatiya Diwas showcasing the various Northeast packages as “Unveil beauty of Siroy Lily”, Glimpse of Manipur, Imphal Vacations and a separate tab for “Manipur and around” altogether. It is indeed heartening to see the Government of India actively promoting tourism in the state. Manipur Adventure Trail, Quest of Manipur Through Adventure & Eco Tourism, Water Sports Loktak Lake Manipur and Premium Parasail Boats are all packages listed on the website. The website enumerates upon Manipur’s innumerable prospect for adventure eco-tourism. Loktak Lake itself is one such water sports site. Beside this KNLP (Keibul Lamjao National Park), the home of the Brow Antlered Deer (Sangai) one of the endangered species in the world, which can survive only on the floating biomass of Keibul Lamjao is also highlighted. 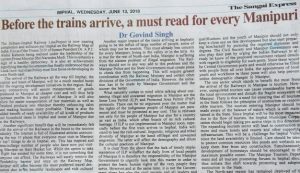 The refreshing change on the part of the Central Government will surely go a long way in creating an environment of change in Manipur, one that will help the people economically as well as ensure an overall development of the region. NE Greens greets every Pravasi Bharatiya on the occasion and encourages all overseas Indians to join hands in the efforts to bring about sustainable development of Northeast India. Indian government making tough to visit and or stay in India for sometimes! It is our inheritage right as India is our dear matriubhoomi, but, Government of India is bringing new and new laws like 2 months stay period legislation for reentry, stay more than two months and pay income tax on entire year’s income of whole the world!Is not the government is trying to bring our right and tries to curb our visit!